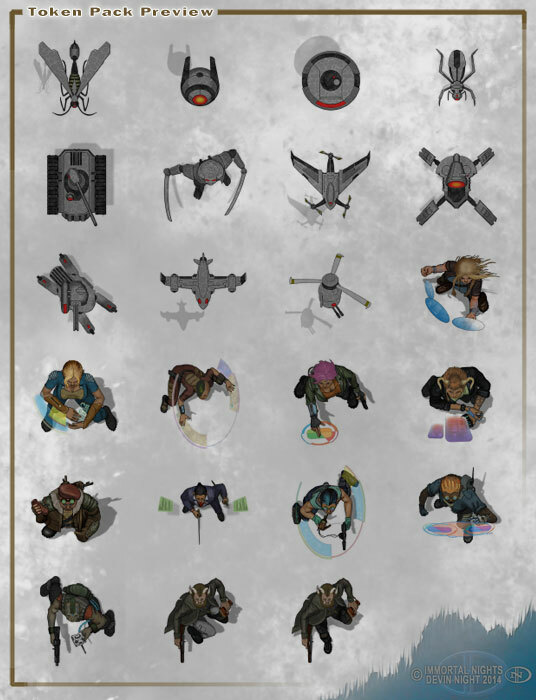 This pack contains 23 unique tokens with an additional 12 variant drone tokens. This pack covers futuristic hackers and drone controllers as well as 12 drones. I really love your tokens, I bought this set and one of your modern token one as well on Roll20. as well as some rigger, decker and a few fighter mixed between human, elf, dwarves, orc and troll. I forgot to mention that the drones perfectly fit the description in the shadowrun 5 rulebook. Thank you for taking the time to write that. I’m glad you like the work. I will be working on another set in July. Should be in stores around August.